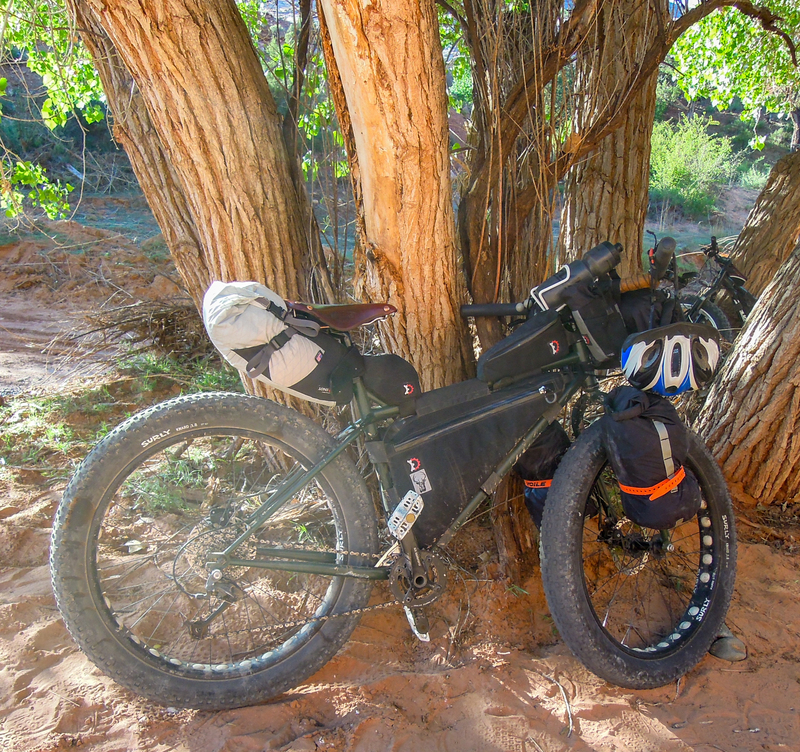 Recently I spent three days on Kokopelli’s Trail testing out Lone Peak’s new Expedition Seat Pack. Below is a link to it. (I have no affiliation with Lone Peak and paid full price for the pack). 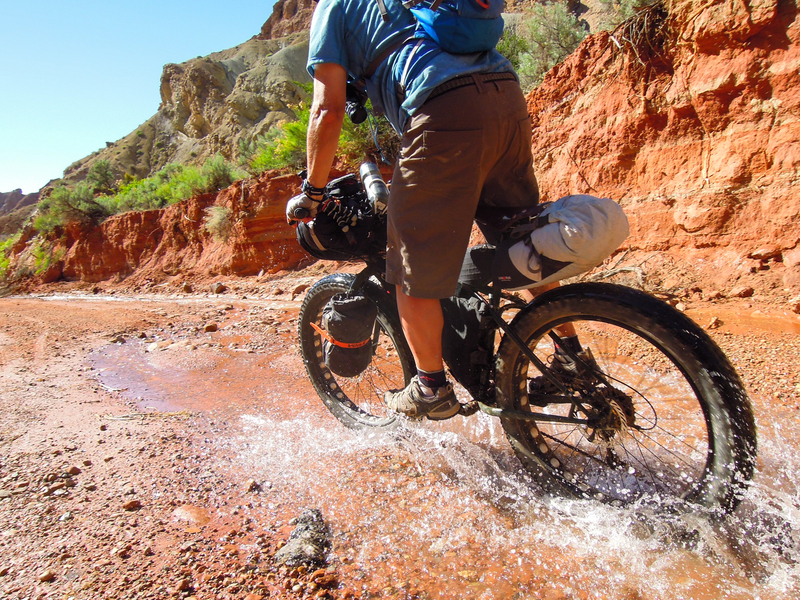 Kokopelli’s Trail was a worthy proving ground as it is rough and rocky. This is the first bikepacking seat pack that I have used, but I have seen seat packs by other makers, like Revelate. I was impressed with this pack. First, it held a lot of gear. On this trip I packed it first with a Montbell 30 degree down sleeping bag, then a polycyro ground cloth, some wool socks that I sleep in, a beanie, a small Klymit inflatable pillow, and finally a lightweight Outdoor Research puffy jacket. It held it all without being overstuffed. In fact, I could have fit more in it if I wanted to really stuff it. With all this gear, I could still roll down the dry bag-type closure 2-3 rolls. The connection points to the saddle rails and seat post were very solid and I can see no noticeable signs of wear in these places. As I mentioned in my first look review, I only have about one inch of clearance between my back tire and the pack. I was running Surly 3.8″ Knards. With the rough trail, the pack would occasionally bounce and bump the back tire. This resulted in some abrasion wear. When I noticed this I would tighten up the straps a bit and that seemed to help. With such low clearance this was no surprise and the wear was fairly minimal. I think I will put some Seamgrip or something like that on that area to keep any further abrasion to a minimum. The Xpac fabric seems pretty burly considering. 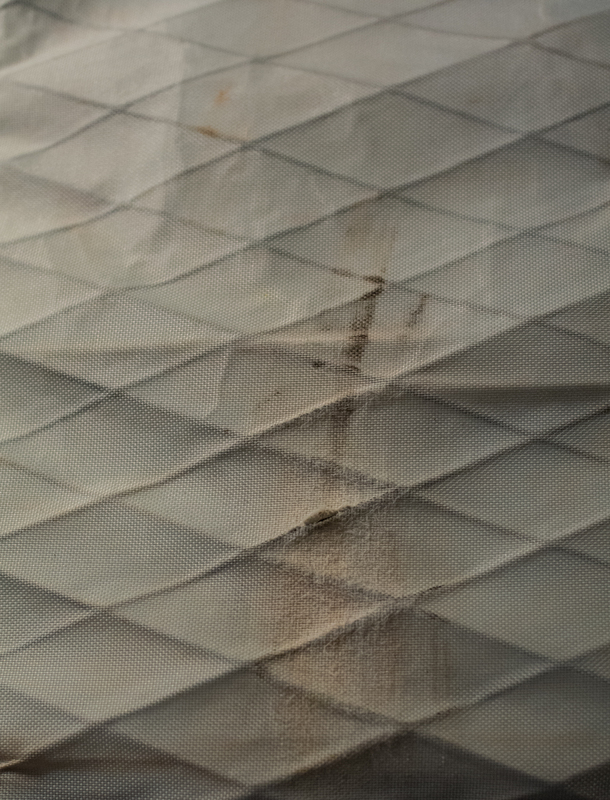 There is also a plastic stiffener under the fabric on this part of the pack so even if it did wear through the fabric, your stuff inside would still be safe and protected. Wear on the underside of the pack wear it occasionally rubbed on the back tire. I preferred using a large seat pack to a rack that I have used in the past for bikepacking. It saves weight and is a simpler system. It also encourages you to go lighter. With a rear rack, you could easily be tempted to carry more than you really need, just because you have the extra space. Overall, I’m happy with the pack. 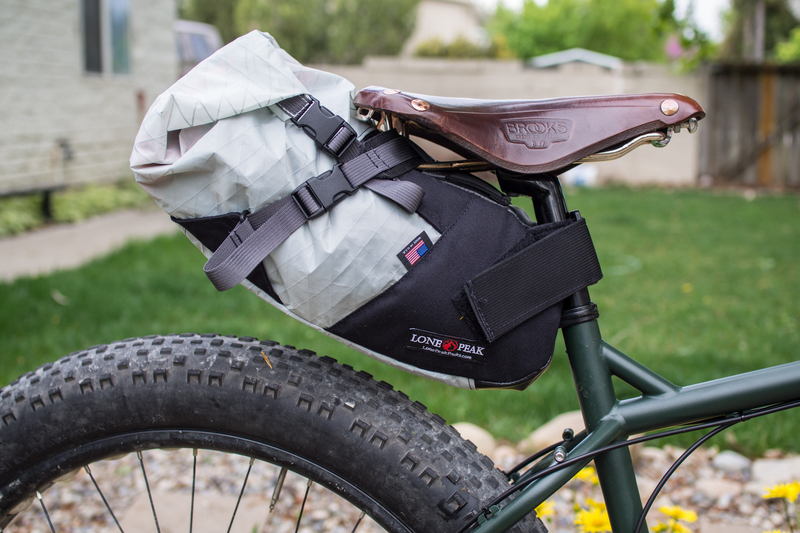 As mentioned in my other review, I have been using Lone Peak panniers for years road touring and their stuff is very well made and hardly shows signs of wear. I’m glad they are getting into the bikepacking scene. Another plus is that all their packs are made in the USA, Washington state to be precise. Their prices are very competitive as well.